A slightly sweet sauce with some interesting ingredients including pear and grape juice. I can just pick up the pear and grape flavours which work well together creating a very tasty sauce. 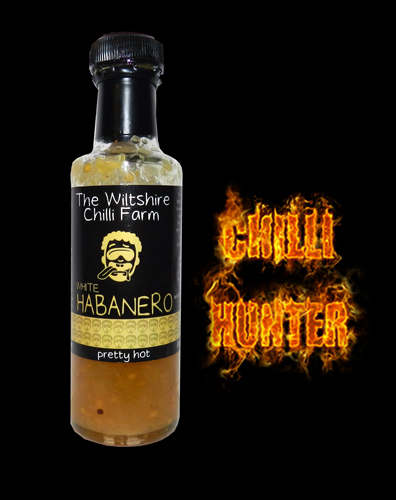 There’s 23% white habanero in this sauce, if you’ve ever grown these fiddly little buggers you’ll know the amount of effort that’s gone into each bottle. I don’t think this sauce will be available again as the white habs are tiny little things and quite frankly more hassle than their worth in my opinion.